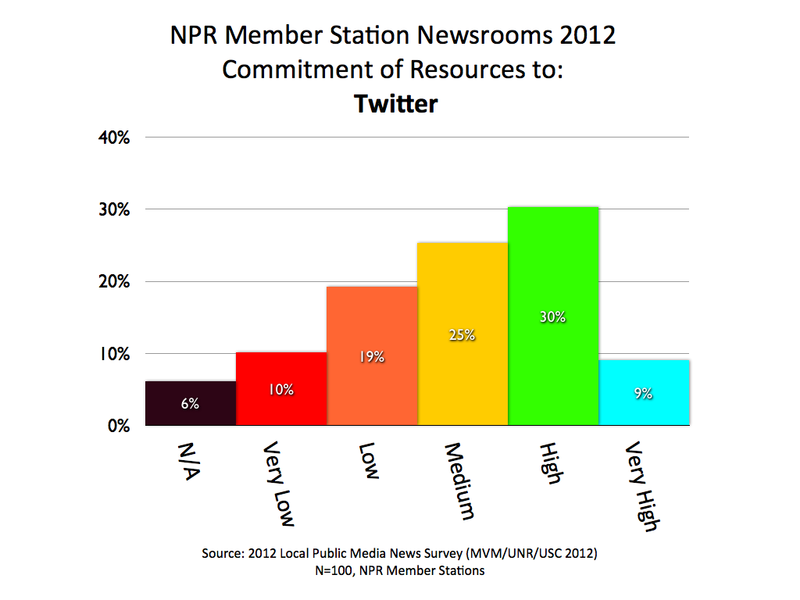 An online news revolution is happening but you’d barely know it by the activities of many local public radio stations. 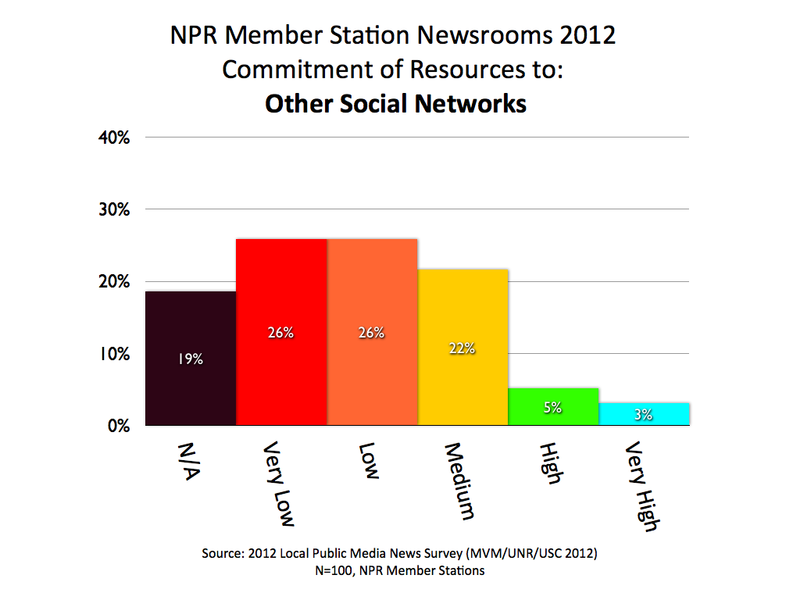 Our latest national survey data — presented exclusively here — shows the vast majority of U.S. public radio stations are still in the crawling stages of new media adoption. 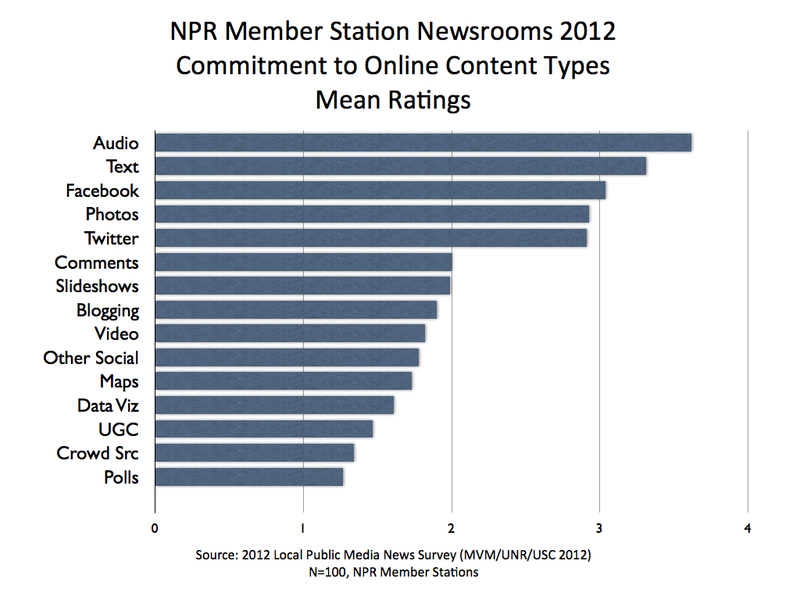 Let’s start with what local stations ARE doing in some significant measure. 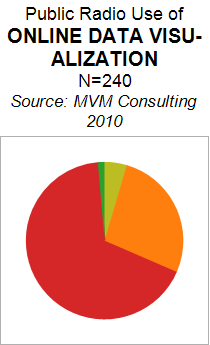 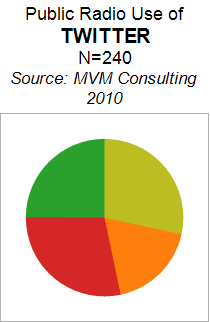 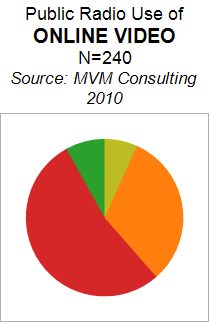 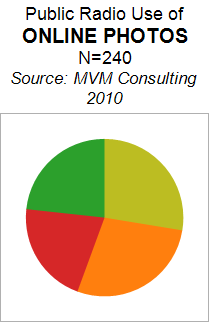 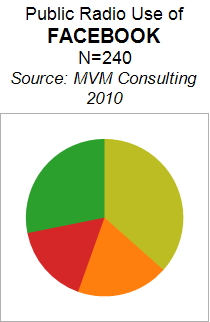 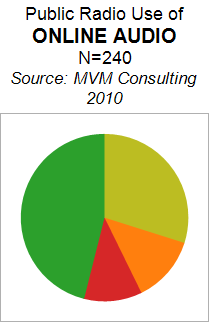 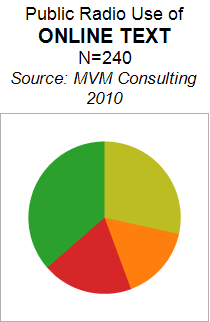 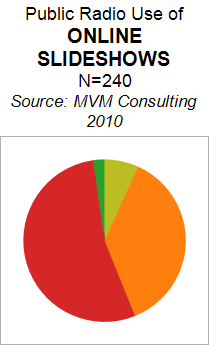 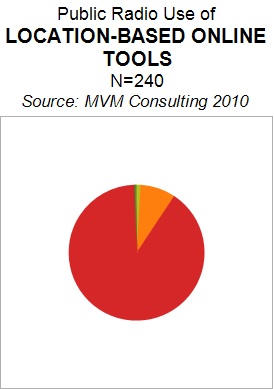 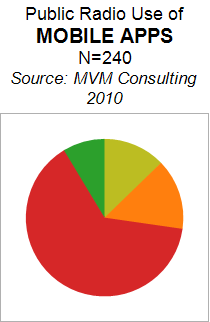 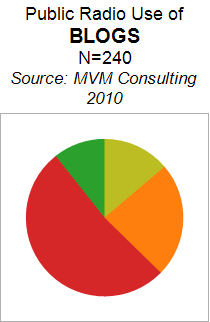 The green and gold areas in the pie charts represent the proportion of stations “very frequently” (green) or “frequently” (gold) using the tools or methods listed by chart. 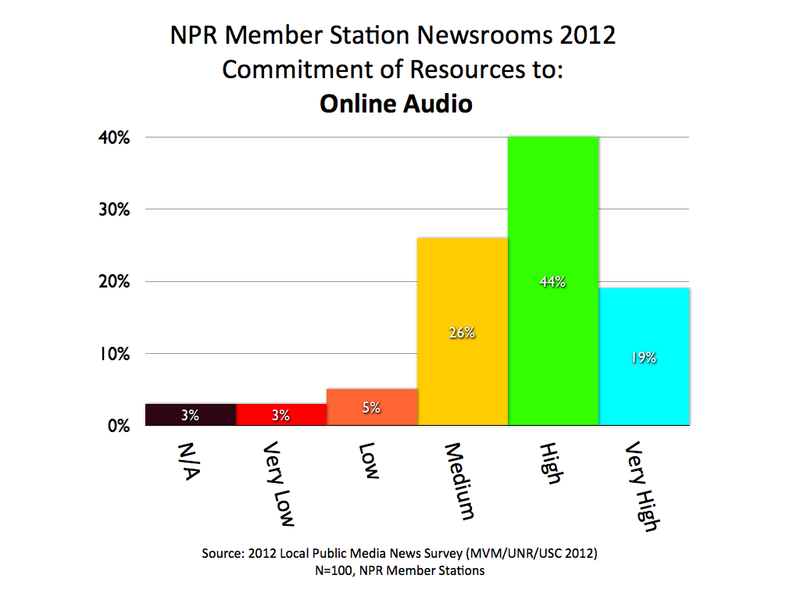 A healthy 75% of radio stations frequently or very frequently are doing the no-brainer thing: putting their audio online. 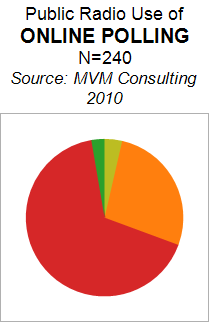 Similarly, two-thirds of stations are routinely posting online scripts or text-based articles. 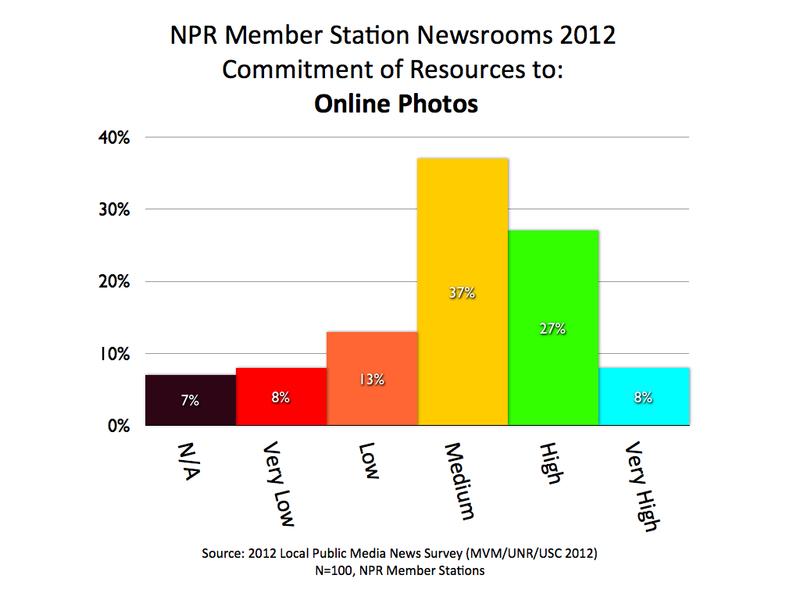 And, rather encouragingly, half the public radio stations are now regular providers of online photos. 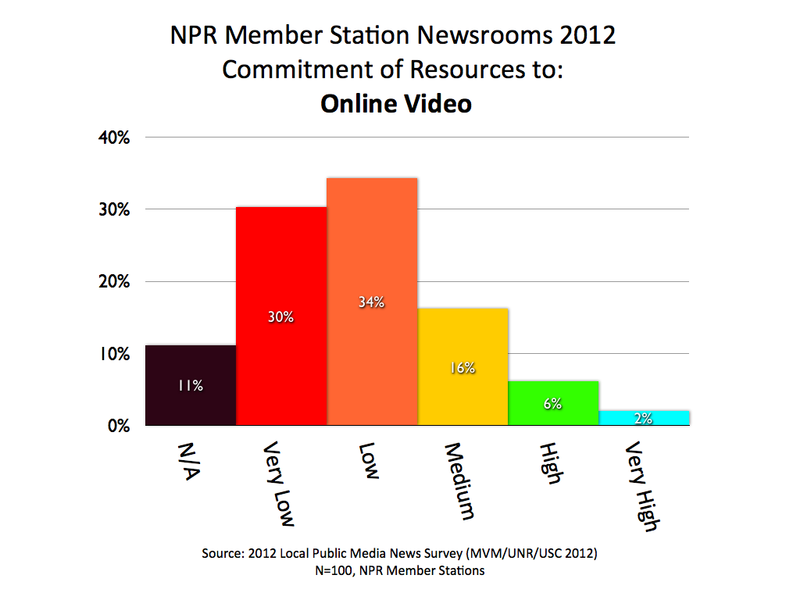 However, when it comes to adding value through slideshows or video, the vast majority of stations rarely or never bother. Note the increasing presence of red (“None”) and orange (“Infrequent”) sections of the charts. 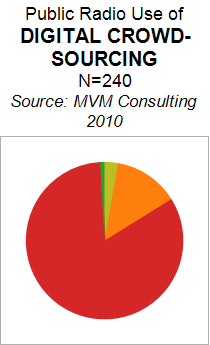 Even blogging is something of a rarity. 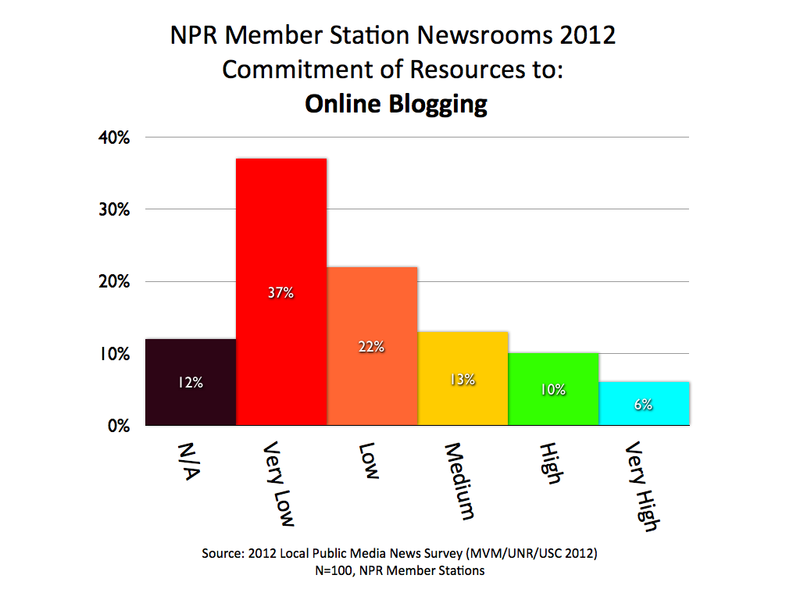 Half of stations report never blogging and 25% say they do so infrequently. 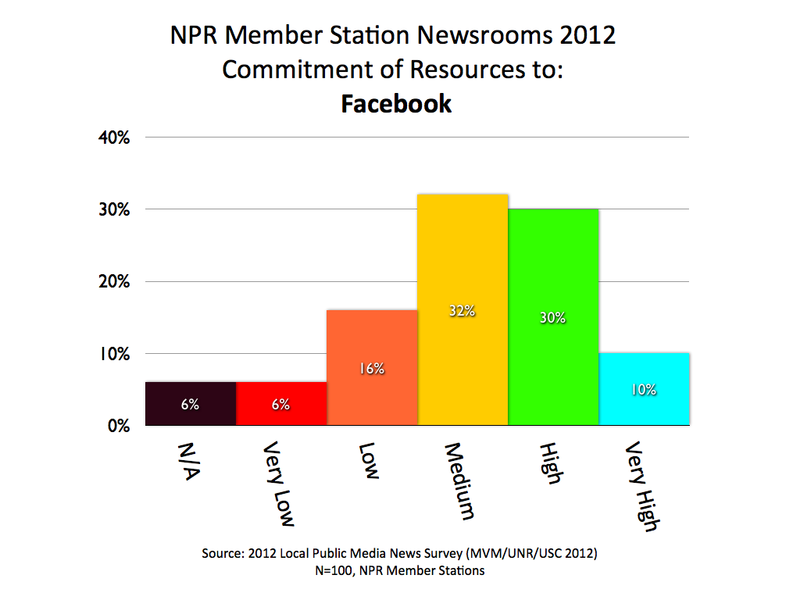 Facebook is a popular way of engaging local communities in online news efforts by public radio. 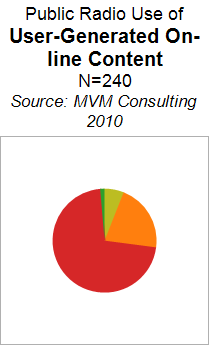 Sixty-five percent of stations use Facebook frequently or very frequently. As journalists take advantage of online tools, they increasingly use interactive maps to give users control over geographic views of new data. 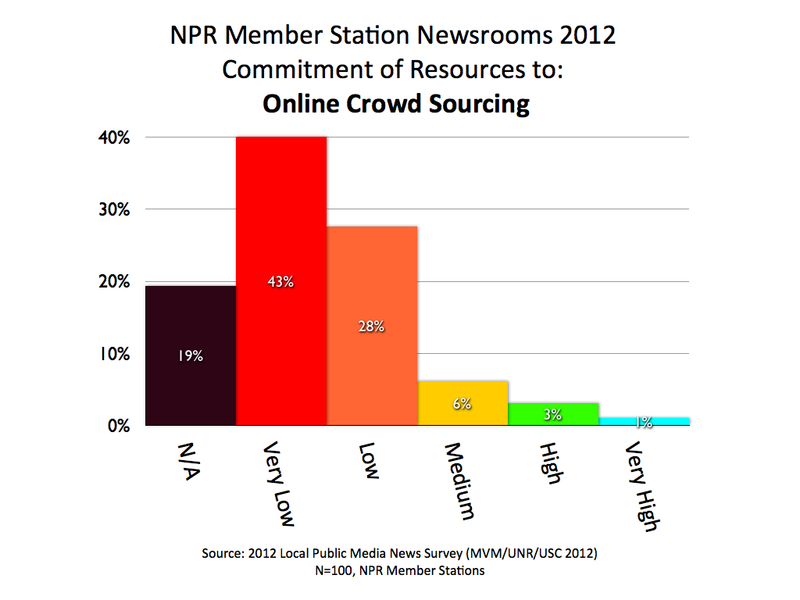 They also seek new ways to “crowd source” stories by requesting participation from the public. 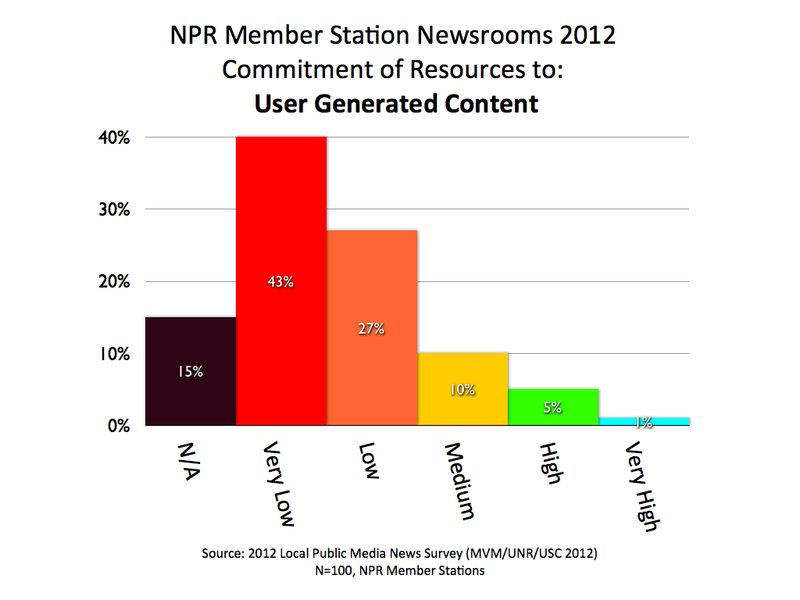 User-Generated Content is another way that journalism is now turning to citizens to assist with information gathering. 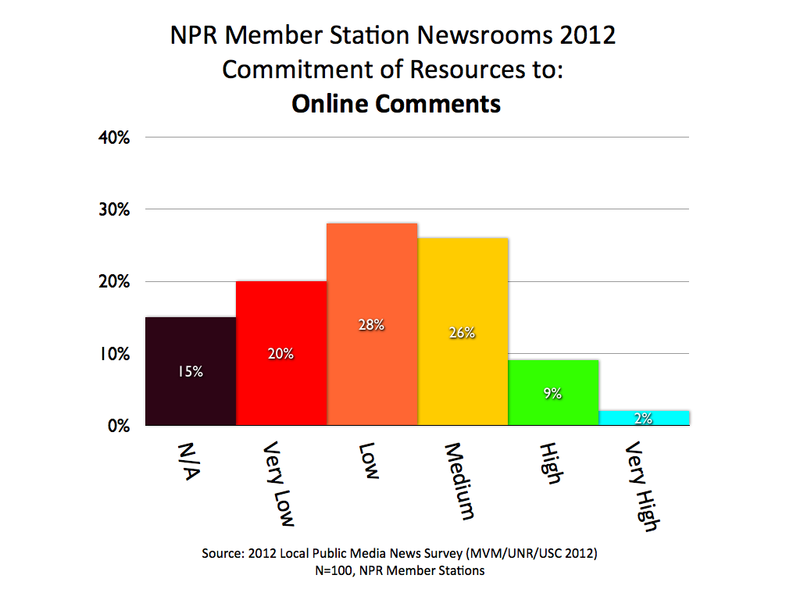 Our poll shows these methods have limited acceptance in local public radio newsrooms. 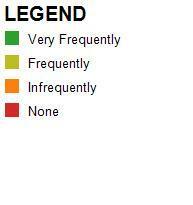 If anything, perhaps the size of the orange “infrequent” wedges are signs of potential here. 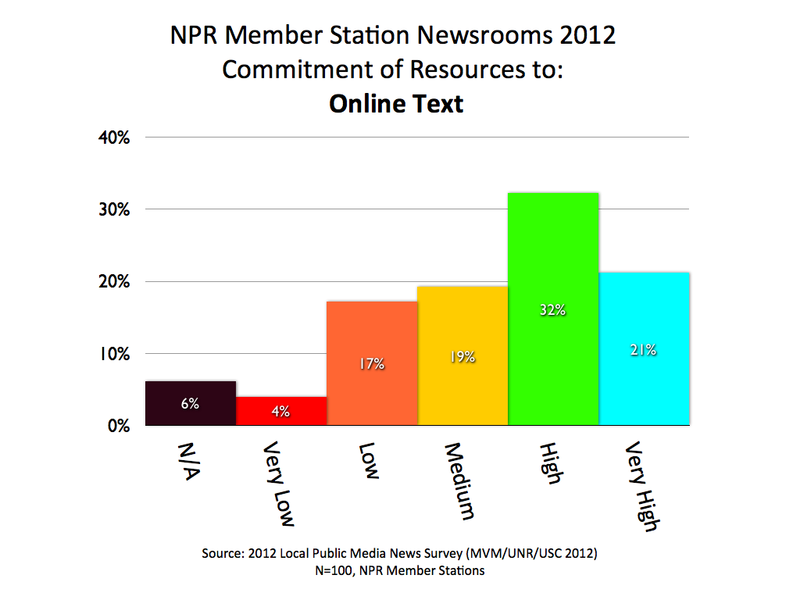 While mobile platforms have made portable radios all but obsolete, only 21% of public radio stations report deploying mobile apps to engage their communities. 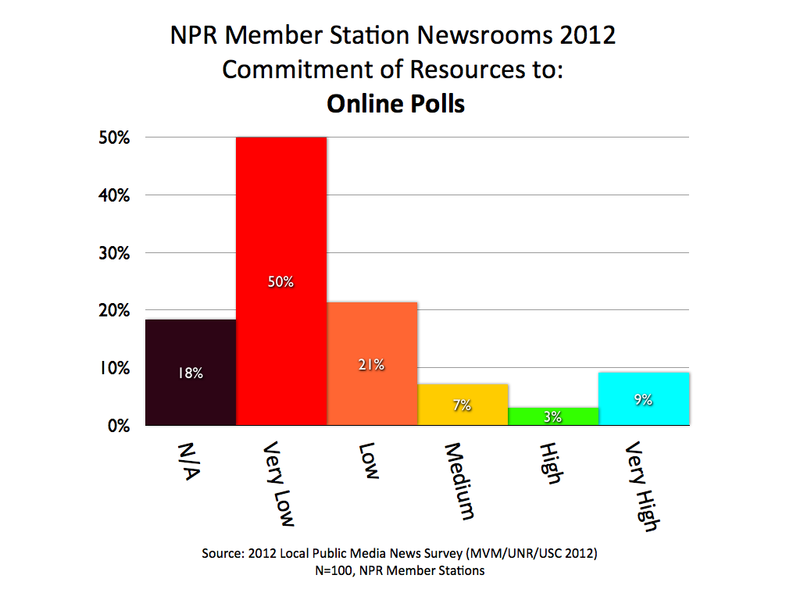 Even something as simple as online polling is rarely if ever done by 90% of stations. 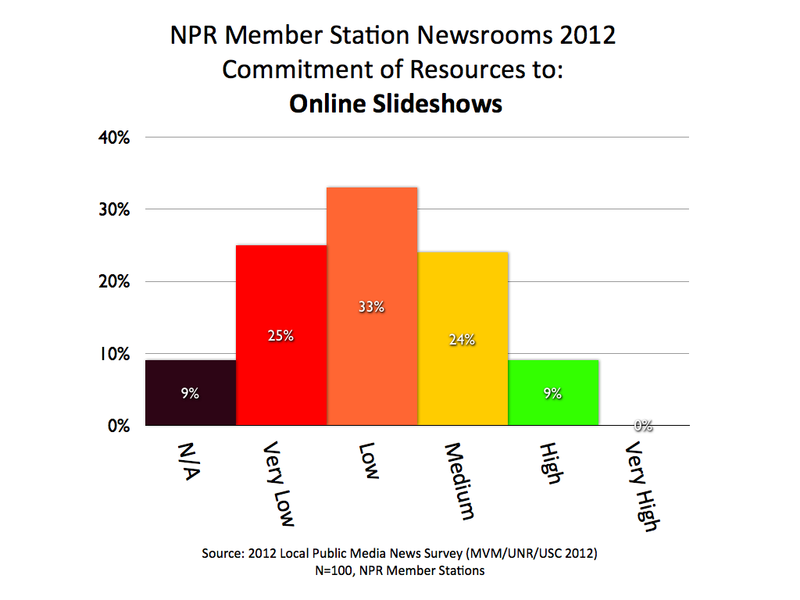 As the red wedges take over these charts, one can see that more sophisticated online tools for data-visualization or geo-locating data are extremely rare in local public radio.